John Yeary: Does Your Cell Phone Need A Jolt? Does Your Cell Phone Need A Jolt? "Yet Another Reason to Stock Up on Jolt Cola". It was a great article about the potential use of various bio-fuels including... you guessed it JOLT cola. How awesome is that? Talk about all the fun you have with that as a quip. You already read the title of this post, so you can see where this leads. On a serious note, it is fascinating that we could take a high fructose corn syrup laden miracle of modern chemistry, and turn it into a battery. 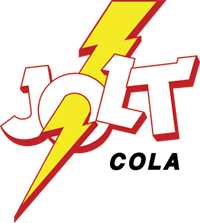 You can give yourself and your computer with the same Jolt. I have visions of Back to the Future II with the Mr. Fusion attached to my computer.